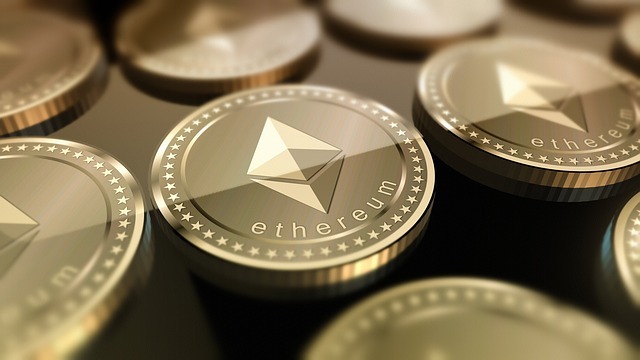 Ethereum will regain ground over the coming year and erase some of its losses made last year and hit the $500 rate by end-2019 on hopes of demand recovery, an FxWirePro poll showed, but regulatory challenges and a global economic downturn remain the biggest downside risks over the coming year. The second most popular cryptocurrency by market capitalization, a bruised Ethereum, lost over 80 percent in 2018 as investors turned overly pessimistic regarding the digital currency’s performance. That is in line with the crypto giant, bitcoin, which also faced a heavy sell-off last year. According to the median forecast of 15 research organizations and institutional investors, taken April 1-8, Ethereum prices were forecast to hit $500 by December this year. Interestingly, except one, all other firms predicted the ETH/USD to gain from the current rate of $180 with a high of $2500. Wallet investor forecasts the ETH/USD to decline to the lowest since 2017 of $11.18. "Longer-term prospects are looking quite bright and valuations are increasingly attractive with adoption showing signs of ramping up over the longer term. Ongoing regulatory challenges and technological obstacles are some of those headwinds that are being fleshed out into 2019. Meanwhile, fear of broad-based risk liquidation in global financial markets now that the monetary policy accommodation well has dried up, is yet another worry for the more risk correlated Ether," noted LMAX Exchange in its April 8 report. "The latest break back above $170 takes the immediate pressure off the downside and opens the door for the possibility of a bullish break over the coming sessions. Look for a weekly close above $170 to strengthen the outlook, encouraging a run up towards next major resistance at $255. Setbacks are expected to be well supported ahead of $125." It is worth noting that Ian McLeod, co-founder of Thomas Crown Art, believes that the ETH/USD might reach somewhere more than $500 by 2019. This recovery in Ether is in line with the poll taken in March on the Bitcoin, where research firms predicted the BTC/USD would erase much of its losses made last year and hit $15,000 by end-2019. According to the median forecast of nearly a dozen research organizations and institutional investors, taken February 28 - March 5, the Bitcoin is predicted to hit $15,000 by December this year. While two predicted BTC/USD to remain below the current level of $3,800, five forecast it to surge over $20,000 level by December. Only one forecast prices to rise to $28,000. "Bitcoin has rocketed higher, to clear some major levels, breaking back above a consolidation high from back in December, to suggest it could be thinking about turning back up again in a more meaningful way. At a time when central banks have exhausted themselves with the unprecedented printing of money to keep sentiment running high and the global economy afloat, over a decade after the crisis of 2008, it would seem, a peer to peer decentralized currency, with limited supply, and an attractive technology that it rests on, could be a compelling alternative option," LMAX added. "A major breakout in the price of Bitcoin this week, with the price clearing the top of a range that had contained the market since November 2018. The break takes the immediate pressure off the downside and opens the door for a continuation of gains back into a critical previous support turned resistance zone in the $6,000 area. Look for setbacks to now be well supported ahead of $3,500."